This summer, I thought it was finally time to finish Sutton’s room – something we had been working on for months – and I can’t wait to share the result. While we had most of her furniture, we still needed some things, mainly accessories. 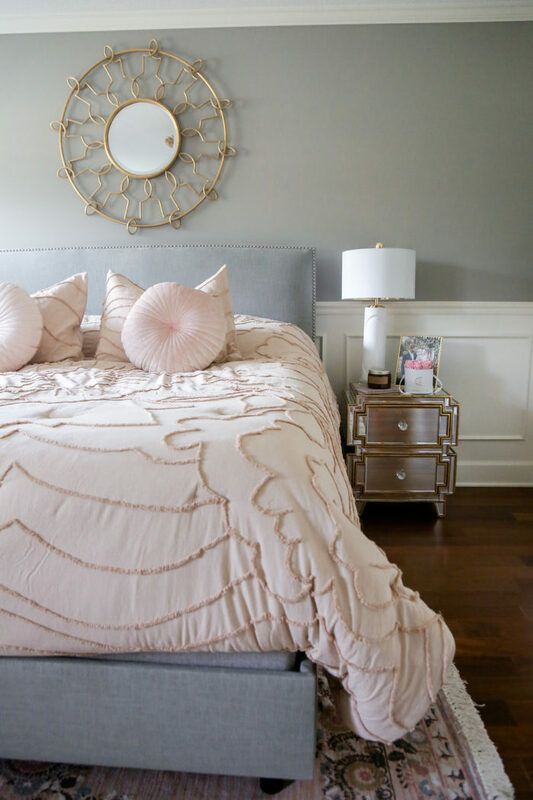 It’s amazing what a few finishing touches did to make the room feel not only complete, but completely refreshed. 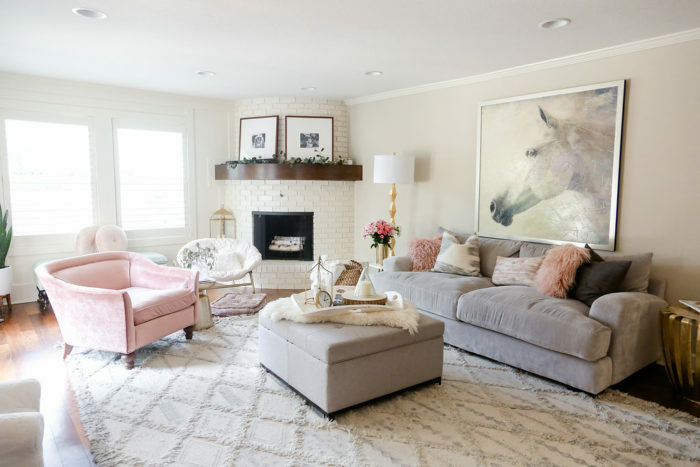 A rug can totally change the vibe of a room, so it’s a good place to start. To not break the bank, I love shopping at Urban Outfitters for rugs. 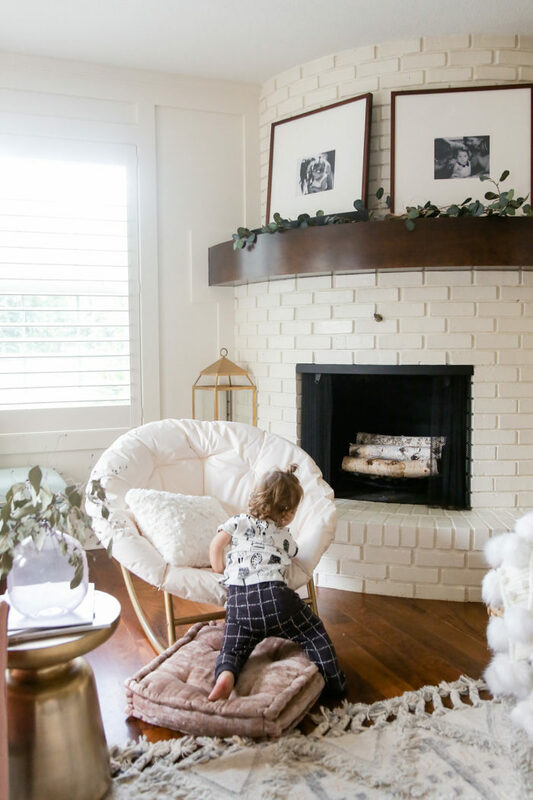 It might be a little unexpected for home decor, but it’s one of my (and Sutton’s) favorites. 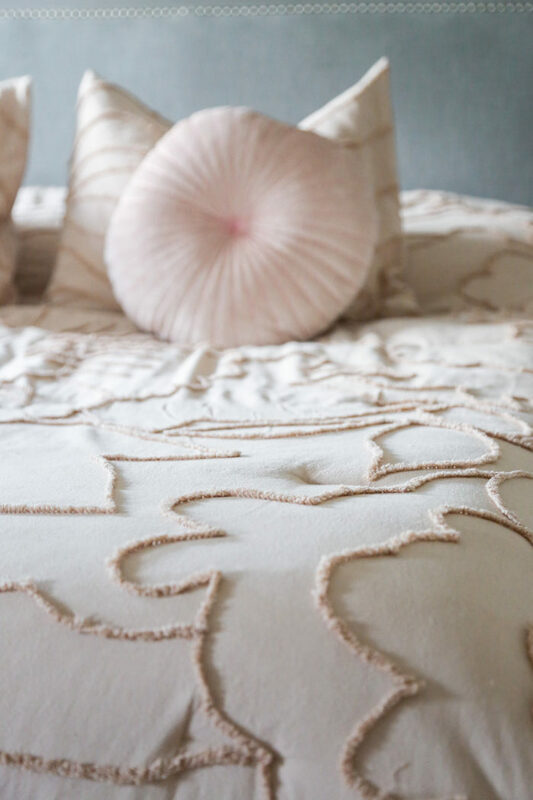 The prices are great and there are a lot of neutral, on-trend options. 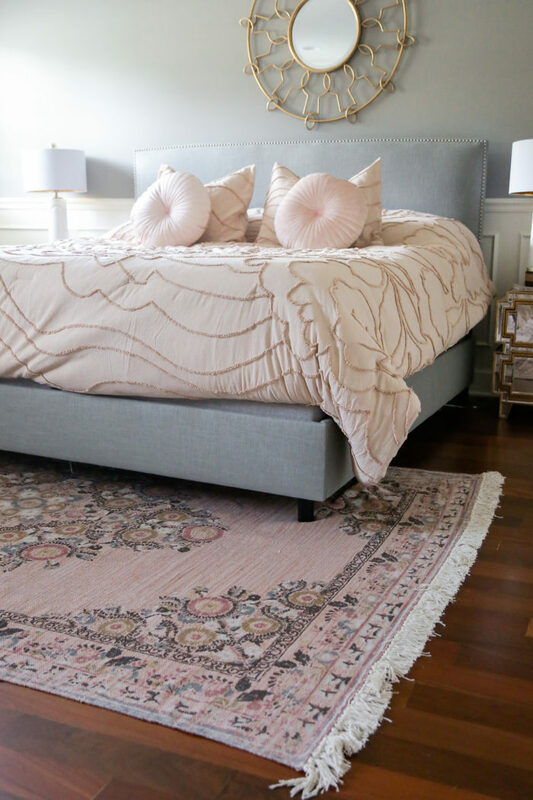 We added this rug to our master bedroom, and this one for Sutton’s. I love getting pictures printed, especially of the kids. This summer, I went around our frames and printed some new, more recent photos of each kid and swapped them out in the frames. This is nearly free to do and can change things up. 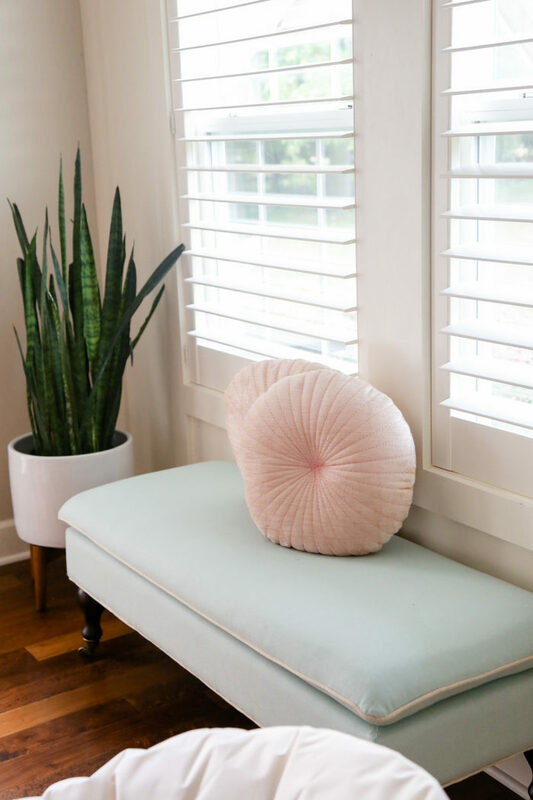 Even if you don’t want to buy pillows, think about rearranging them. Maybe swapping the ones in your living room with those in your bedroom if they match. Or, you can shop for a couple new ones – because even 2-3 go a long way. 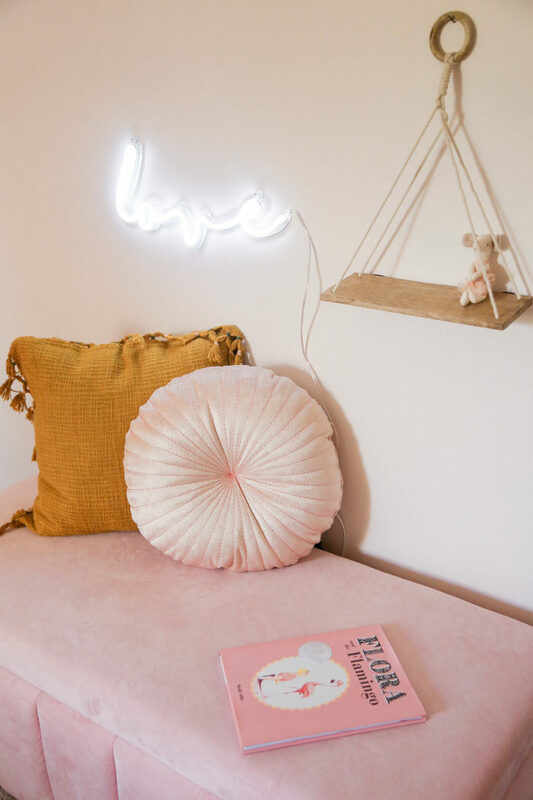 We got these pillows for Sutton’s room (again from UO) and it freshened things up. 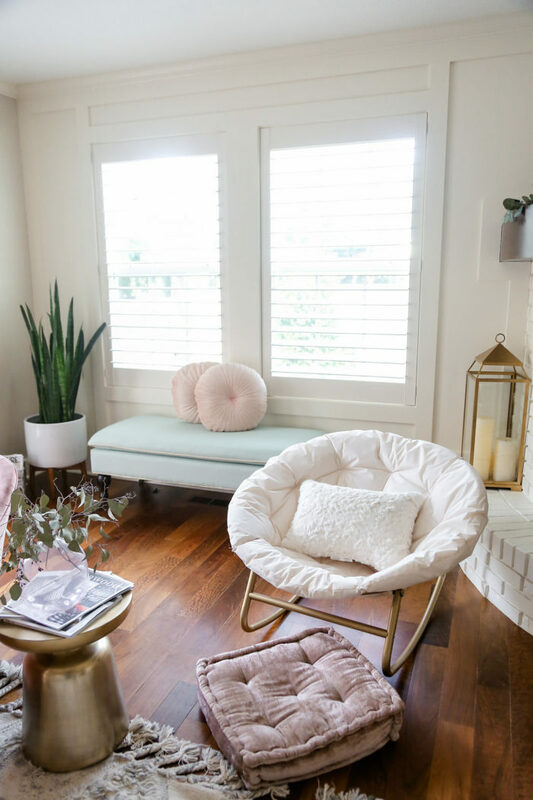 Round pillows and floor pillow. 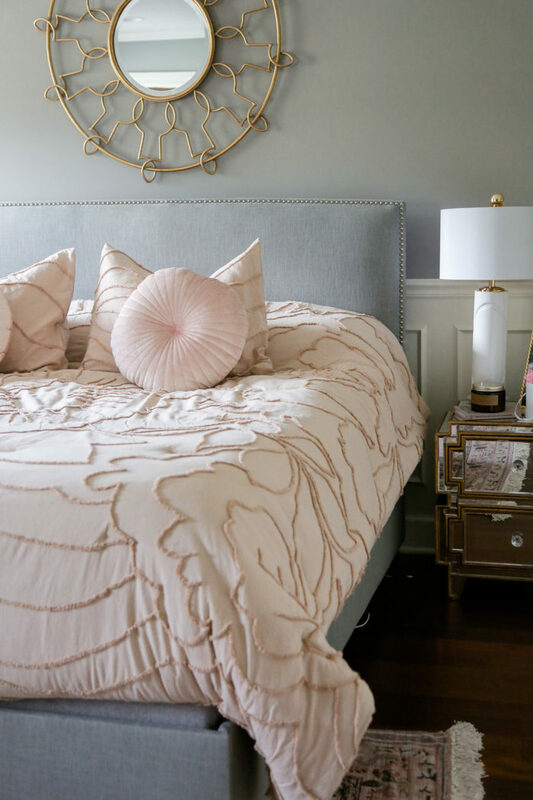 If you want to re-do your bedroom but don’t want to spend on furniture (the expensive part), you don’t need to. 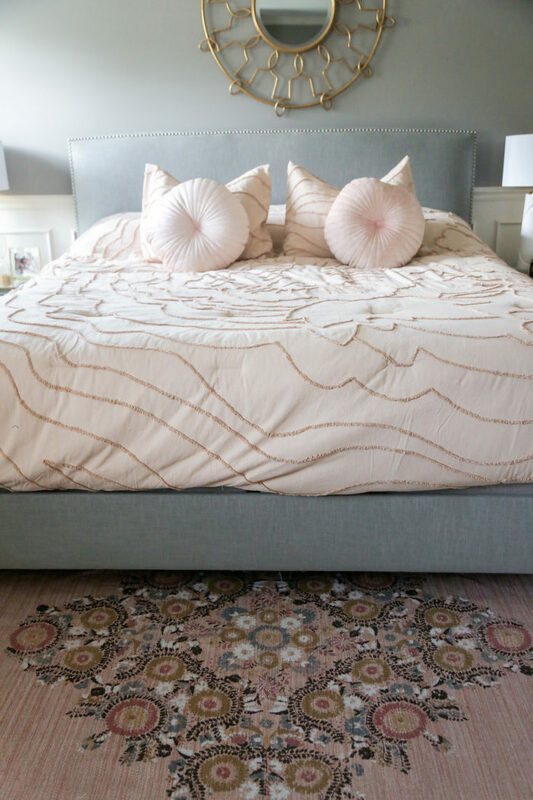 New bedding will do the trick – even if it’s just your duvet/comforter. Michael and I recently got new bedding and the room feels brand new. 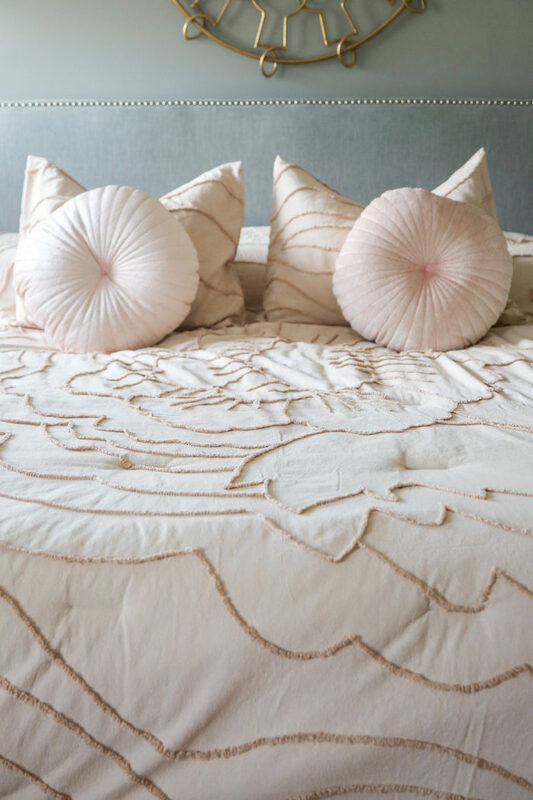 Bedding set- comforter, sheet set and pillow shams. You guys know I’m a fan of fresh flowers, and our home rarely lives without them. 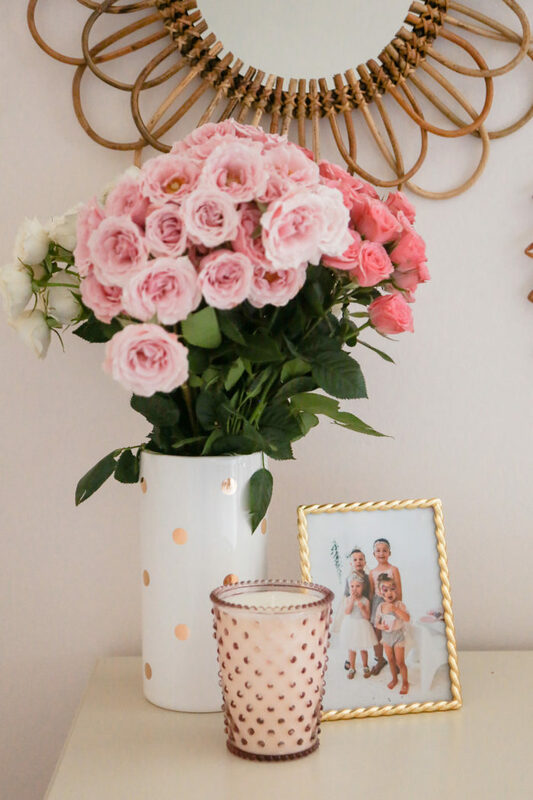 You can spruce things up by adding smaller vases throughout your home (bathroom, kids room, etc.). I like to buy a couple big bunches every other week and then split them up myself into different vases. No need to buy a different arrangement per room. 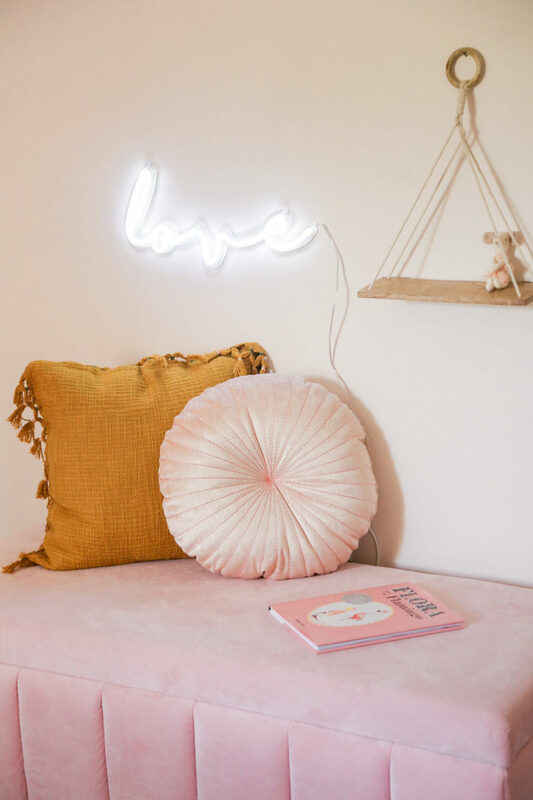 For Sutton’s room, we also had fun adding a couple new shelves, this Love sign, and we got a new chair for the living room – all from Urban Outfitters. 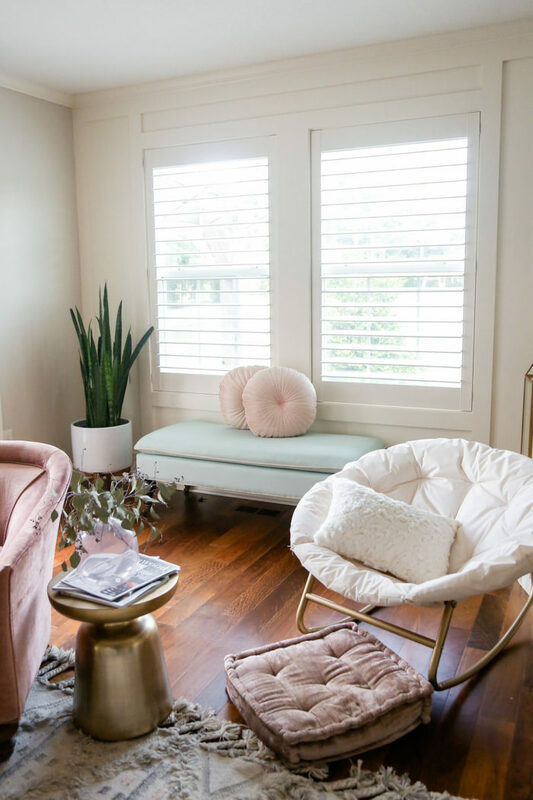 If you’re looking to spruce up your home for an affordable price, I highly suggest checking their decor selection! In collaboration with Urban Outfitters. great post! 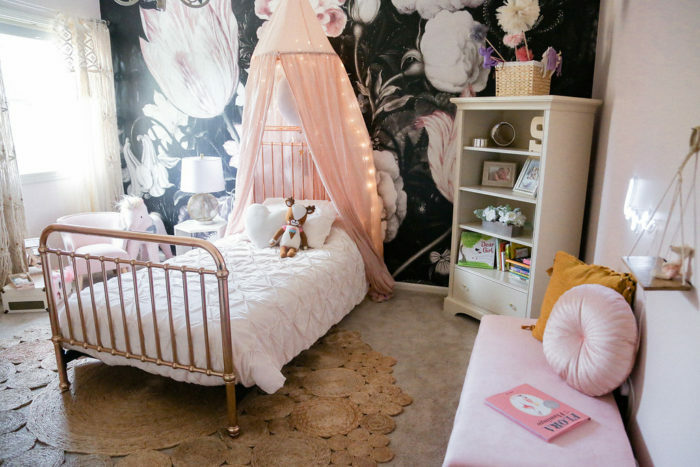 your home is gorgeous, and I love all the pink accents throughout. 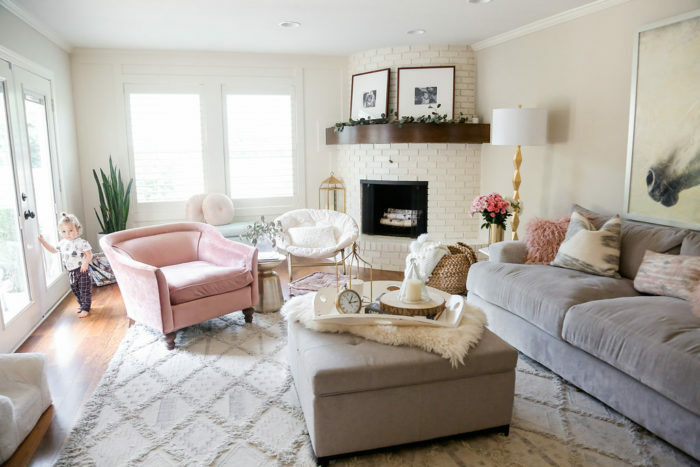 My favorite is your pink chair in living room!